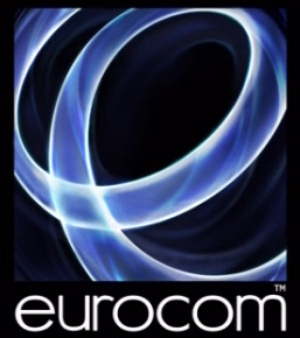 "Focusing mainly on mobile opportunities moving forward"
Eurocom, the development studio probably best known for GoldenEye 007 on Wii, has today announced a large number of redundancies as part of a restructuring effort. The company has confirmed that its number of employees has dropped from over 200 to just 50. Eurocom has been in business since the NES era, but is known for some notable recent releases on Wii and its rival HD systems. GoldenEye 007 and Dead Space: Extraction both drew a great deal of critical praise, though the studio's most recent effort, 007 Legends, was widely panned; it's reported that this final console title was victim to tight deadlines imposed by the publisher, Activision. Eurocom Director Hugh Binns issued the following statement. Eurocom are undertaking a restructuring which I regret to say has meant we've made the majority of our workforce redundant today. This includes many very experienced, talented and highly skilled employees, and we'd like to thank them all for your hard work and efforts. We've fought to try and save as many jobs as possible, but the steep decline in demand for console games, culminating in a number of console projects falling through in the last week, left us with no option. Eurocom has retained a core staff of just under 50 employees and will be focusing mainly on mobile opportunities moving forward. There's little doubt that, given the right project and enough development time, Eurocom was capable of producing high-quality titles. We wish all of the staff made redundant the best of luck in their future endeavours. Very sad, both for the dev teams and for what it means to the future of console gaming in general. Really hope Wii U provides a kind of middle-ground for devs to produce high-quality games for reasonable budgets... good luck Eurocom! So many developers dissapearing or moving to mobile dev, its sad. And I still think quality console games are here to stay. I loved Sphinx and the Cursed Mummy from these guys (an overlooked Zelda-esque game back on the Cube). They mostly did licensed stuff, unfortunately. Sad for the 150 people who got fired. Very sad to see them in trouble and we wish them well but I do wonder how long they will survive on mobile platforms but needs must. Frankly, they are wasted on such a platform. Strap yourself in for the 8th gen. We're in for one hell of a ride. Thats a real shame. I loved Goldeneye and honestly think its bit underrated. Too bad that they have to do mobile games. Sorry for the fired employees. Sad to see them leave the world of consoles, but they will be great in the mobile market! Wish them all the best of luck! I'm so sad to hear this. My history playing Eurocom games goes back to the N64 days. Mortal Kombat 4, Crusin the World, Hydrothunder, and The World is Not Enough. I played 007 Nightfire on Gamecube as well as the their two Wii games that's been mentioned in the article. I wish them well going forward, and blessings to those who lost their positions with the company. Eurocom?! The one that developed Crash Bash,the best party game I've ever played(I still play it every now and then)? Sadface. Goldeneye Wii was a great game. I wish Eurocom good luck. Why do failed devs go to mobile gaming when handhelds like 3DS & VITA are screaming out for more quality less expensive to make games that can be thrown on the eShop/PSN and make a killing. I wish them the best of luck. Though I thought goldeneye was ok but my god I played the hell out of The world is not enough back in the N64 days. Aww thats too bad. Well i do wish them luck with mobile games. A steep decline in demand for console games??? Seems like a cop out to me. Having a team of 200 does seem pretty unsustainable, particularly for a developer that doesn't put out AAA titles. I think the worst mistake Eurocom made was to develop for Activision. I didn't think Goldeneye wii was a great game, but at least it was competently put together, and had its moments. But Activision forced 007 Legends 'half-baked' out the door, because it wanted to cash in on the Skyfall release. Now having watched a fair bit of gameplay from 007 Legends, i'm convinced it hadn't even been in development for a year. There is so much wrong with that game its embarrassing. Yet Activision have released it at full price, which constitutes a scam in my eyes. Compare to Goldeneye N64, and Rare were given the freedom by Nintendo to develop the game till it was done properly. They could've cashed in on some rubbish game that people bought purely for the Bond name. But Rare created a landmark game in the console FPS genre, and it released almost 2 years after Goldeneye made its premier at the cinemas. It sold pretty well though didn't it?? It's one thing I have to give Valve. I'm not thrilled about Steam, but in terms of their game development...you know you're getting a high quality product and value for money. You know you're getting a 'finished' product when it eventually releases. They're always fine tuning and adding free content as well, and seem to actually care that they make good games for their customers to play. All Activision care about is squeezing as much money out of gamers as possible and they don't give a damn about the quality of their games. I think the message is pretty clear. If you're a developer out there being courted by Activision, run in the opposite direction as fast as you can. If you're a gamer, don't buy anything they release (excepting Starcraft perhaps). What a shame after GoldenEye Wii was so good. This is really sad! Eurocom have been great Nintendo supporters and always made good use of the hardware. I really hope we will see at least 1 Wii U game from them in the future! @ doctor_doak - You make it sound like developers have a huge list of choices to who can publish their games. I think most developers are struggling for work and will take a contract wherever they can! Goldeneye was a bloody good game,shame a good developer is suffering. Sounds like a cut-and-dried case of Activision Strikes Again. No doubt they'd have delivered something better if they weren't so reliant on those bean counters. I really can't stand what those guys are doing to the industry these days.